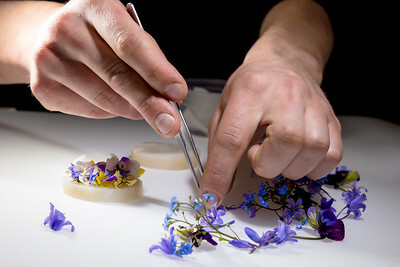 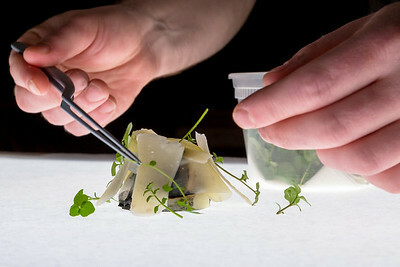 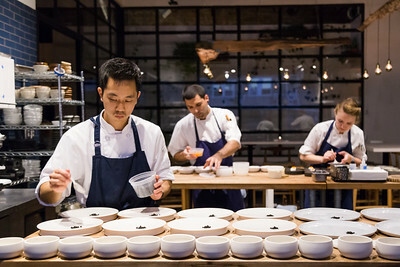 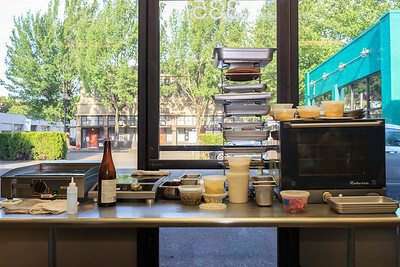 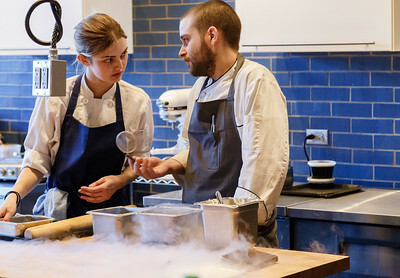 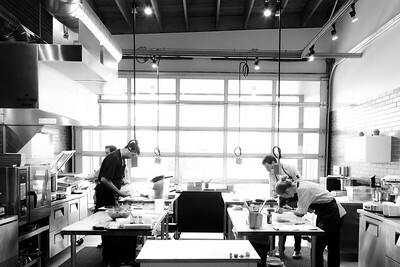 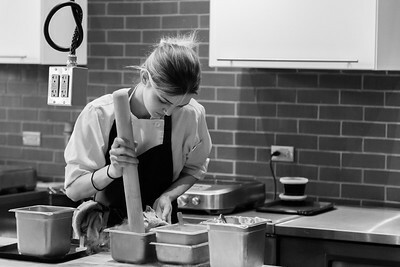 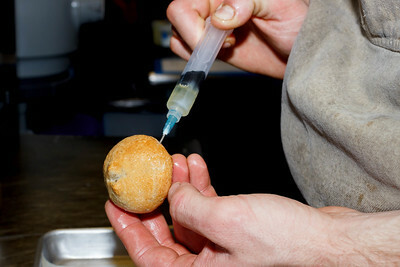 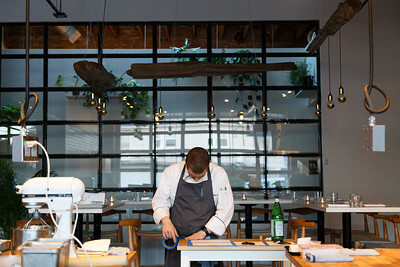 Nomad.PDX is an artistic think-tank focused on revolutionizing the experience of fine dining. 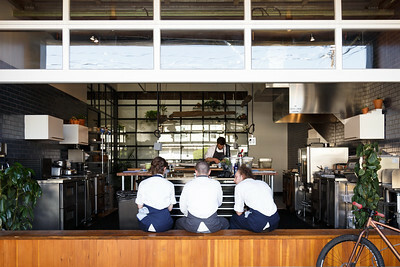 Based in Portland, Oregon, Nomad.PDX does away with the old-fashioned, declining market of the typical white tablecloth dining for a breathable yet expressive environment. 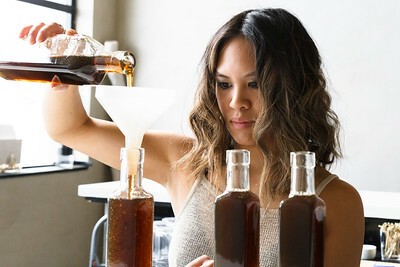 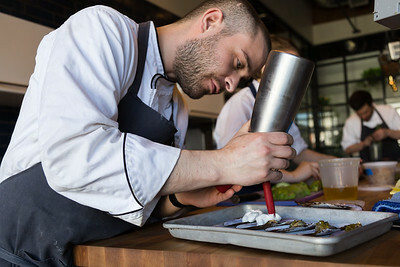 Without sacrifice to detail on high quality food, drink, and wine, Nomad sheds the model of the past through its development of a natural, hands-on approach meant to showcase the beauty of food and its origins. 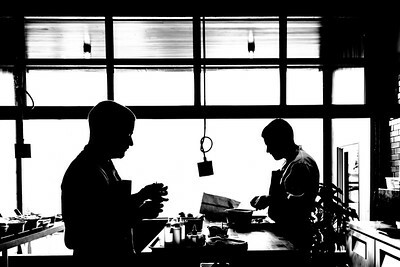 Nomad.PDX invites guests on their food sourcing journey from the earth to the dinner plate through a new atmospheric dining approach. 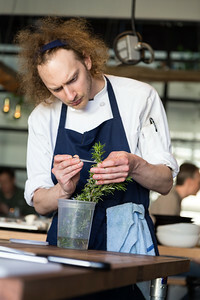 Nomad.PDX Sous Chef Cody preps rosemary flowers. 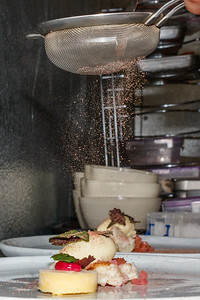 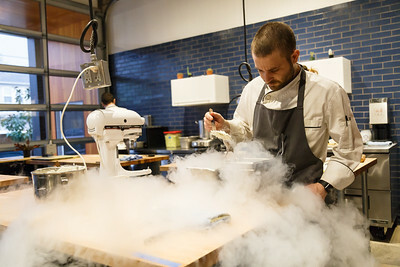 Chef Ryan Fox making ice cream with Liquid Nitrogen before service. 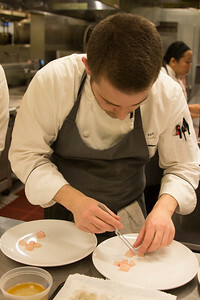 Garrett preps chicken backs for Nomad.PDX Service. 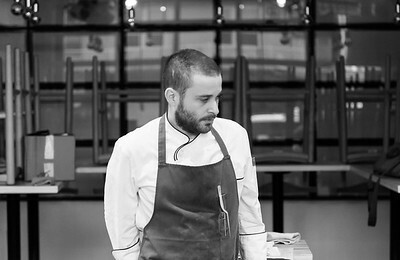 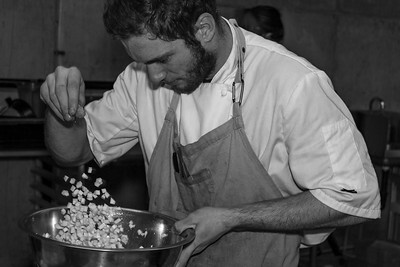 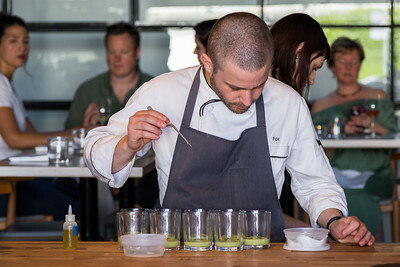 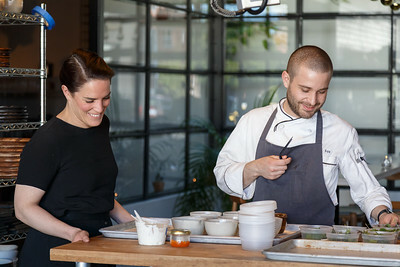 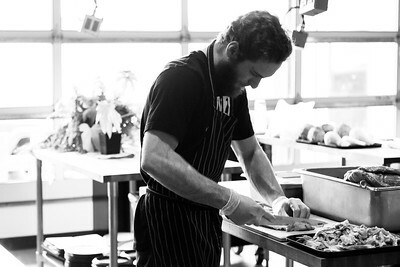 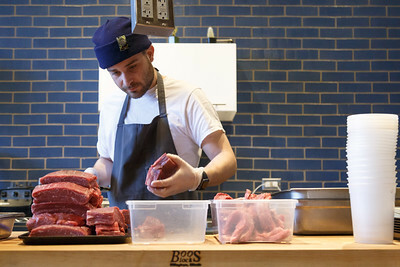 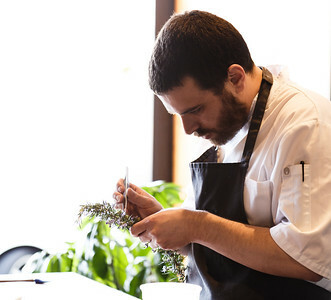 Chef Ryan Fox of Nomad.PDX tapes down the night's guest and course list.